I am SO excited that Leigh Anne is here today. 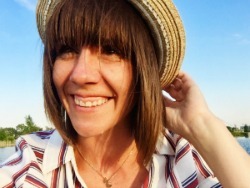 Her site is FULL of mouthwatering recipes among a lot of other really fun things. Seriously I have already raved about her site here. 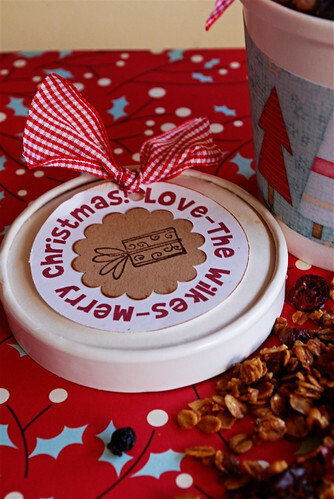 So today on our last recipe Thursday of Christmas in July, we are lucky to get another great food gift idea. Hello! I'm Leigh Anne, also known as Your Homebased Mom. Over at Your Homebased Mom we are all about finding the pretty and delicious. I love sharing my continuing quest for both. I enjoy blogging about all the things I love -favorite recipes, fun party and entertaining ideas, gardening tips, craft tutorials and yes, even my family! I am the mother of four and have been married for almost 30 years - to the same cute guy. Come on over and visit! I love giving gifts, so obviously one of my favorite parts of the holidays is deciding what I am going to give everyone. Because I am such a foodie, giving food gifts is just a natural for me. At our house during the holidays there seems to be an unending parade of candy and cookies. Don't get me wrong, I LOVE candy and cookies and I make plenty myself but sometimes I crave something just a little less sweet, something a little crunchy and maybe just a tad bit healthier. 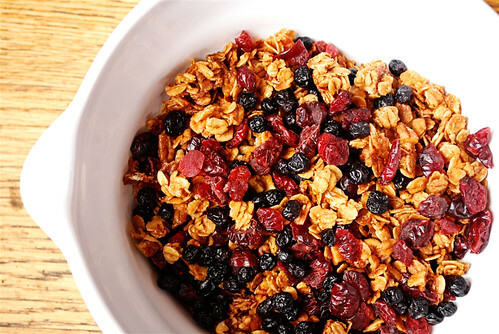 Granola is quick and easy to put together and you can easily personalize it and make your own unique version. Just mix it up in a bowl, spread it out on a cookie sheet and bake. I like my granola nice and crunchy so I let it get nice and golden brown. Nuts are a great addition to granola. I personally prefer pecans but you can use almonds, cashews, walnuts, peanuts or just about any nut you can think of. The other thing I love to add to my granola is dried fruit. Again - you decide! My two favorites are dried cranberries and blueberries. Not only do they taste yummy but they add a nice color to the granola and make it a bit prettier. It's all about the pretty! The next part is sometimes the most fun. Deciding what kind of container you are going to put the granola in - of course it must be pretty. It's all in the presentation you know! I keep an eye out all year round for fun containers. Some of my favorite places to pick them up are Target and Home Goods. Another great internet site is Garnish. They have all kinds of fun containers. For the granola, I decided to use their white paper bowl that holds 2 cups. At $1.10 a piece they are a great deal. 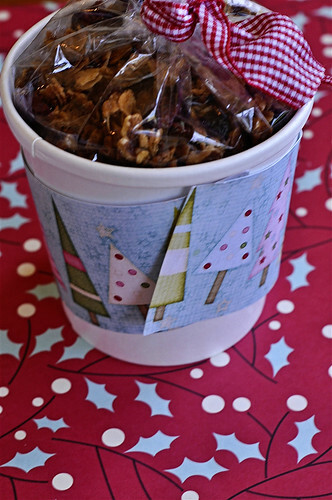 I filled some clear cellophane bags with the granola, tied it off with a pretty ribbon and then popped it into the white container. We jazzed up the container up with a little holiday scrapbooking paper. Just a piece of tape in the back holds it in place. I got out some of my stamps and punches from Stampin Up and made a little gift tag for the lid. My favorite way to eat granola is with yogurt so in addition to the cute container of granola I like to give a carton of yogurt too! Now they are ready for breakfast or a fun snack. 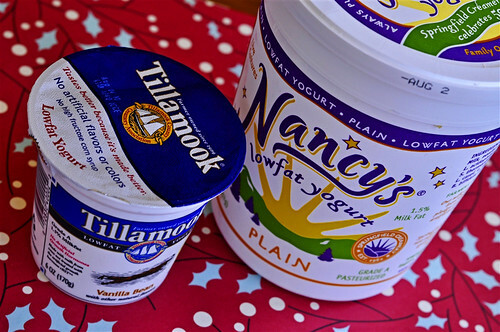 My favorite two kinds of yogurt are Nancy's Natural yogurt and Tillamook Vanilla Bean. Have fun making up your own "granola recipe." Combine the first 3 ingredients in a very large bowl. Melt together the next 5 ingredients while stirring. Let it just come to a boil. Pour over the oat mixture and stir until all oats and nuts are coated. Spread onto a cookie sheet. Bake at 350 degrees, stirring and turning the mixture several times during baking. Stir after 15 minutes, cook 3 more minutes and stir, cook one more minute and remove from oven. 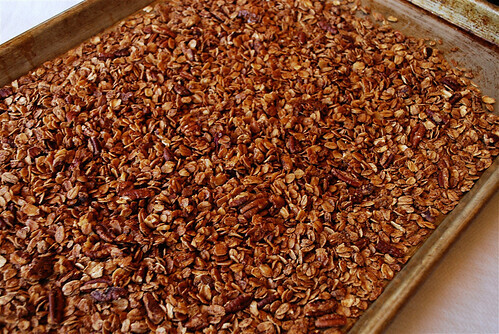 Granola should just begin to brown. It will get darker as it sits. Don’t overcook it will still be good but too hard. Remove from oven and let it cool on the counter. After it is cooled add in the dried fruit and put into a container. Keep air tight. Thank you Leigh Anne. I wish I had a big bowl of this right now. Oh YUM! Thanks for sharing!! Yummy. Can't wait to try. This looks fabulous, Leigh Anne! Thanks for sharing with us! I just got your blog comment about featuring my badges!!! I can't seem to find the feature though. Can you send me the direct link? Id love to add the button!! 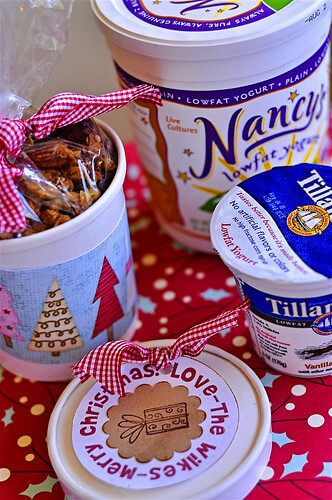 Great recipe and gift idea, loves it!